BackJoy SitSmart is a safe and effective way to improve posture and relieve back pain. SitSmart automatically positions your body in correct posture for all-day comfort. Its patented design works by tilting your hips upright and comfortably “floating” your spine over the seat. BackJoy’s SleepSound™ Pillow combines the support of memory foam and the soft comfort of down without the drawbacks of either. The SleepSound Pillow is the world’s only patented pillow that self-adjusts to support optimal sleeping posture, whether you’re a side or back sleeper. Our Soft Support™ Reinvented Down fill allows you to fall asleep in comfort, while the Cool Comfort™ Memory Foam layers support your head and neck in proper alignment throughout the night. This layered design provides superior loft without clumping or flattening. The Trigger Point Massager is lightweight, durable and simple to use. Simply hook the tool over your shoulder or around your body and use the therapy knobs to massage and release tight or achy muscles. Relieve pain through direct pressure in your back, neck, shoulders, and anywhere else your body holds tension. The unique multi-purpose handles offer full control when navigating the device over your body. Therapy knobs provide deep trigger point release. 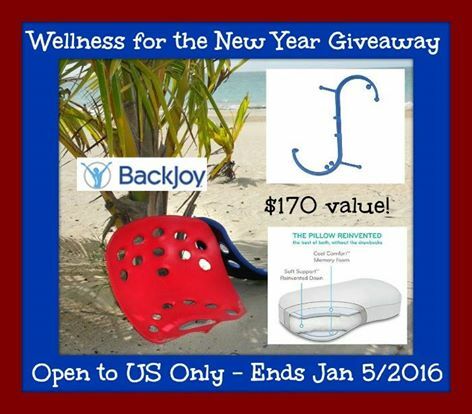 One lucky person will receive all THREE items the BackJoy SitSmart, BackJoy SleepSound Pillow and the Trigger Point Massager! I sleep on all sides, over and under! I kinda sleep all over the place, but mostly on my side… and mostly only on my right side because of tons of back and neck problems. It’s the least painful way to sleep for me. I have had a memory foam pillow before and it helped! It would be amazing to get one again though. I am a back sleeper for the most part. I like memory foam pillows because of the neck pain that I sometimes have, from working at a desk. I’m a side sleeper and like that it has memory foam. I am a back sleeper, not a sider. It would be so comfortable to have this nice chair. I start on my side, but always end up on my back. I’m a side sleeper who suffers from flattened pillow syndrome. I am a side sleeper. I love that memory-foam pillows mold to the shape of your head and neck to fit you perfectly and provide optimal comfort! Oh my gosh I am a side sleeper and tummy! I do sleep better the days that I am on my back! I love that the memory foam pillow gives me more support! I like the Cariloha Bamboo Products. I like that the socks are great stocking stuffers, the towels, sheets, blankets and linens are well just crazy soft goodness! I am a side sleeper. I have been wanting to try memory foam, because it sounds nice. I learned that BackJoy’s SleepSound™ Pillow combines the support of memory foam and the soft comfort of down without the drawbacks of either. I learned that you can use the Trigger Point Massager for your shoulders, neck, back and even feet. I also learned that the BackJoy SitSmart is a safe and effective way to improve posture and relieve back pain. i sleep on both but mostly my back. regular pillows hurt my neck so i don’t use a pillow, but am hoping that memory foam pillows might better support my neck & spine and be more comfy! I sleep on my side. I feel that the memory foam pillows are more supportive. I am a side sleeper. The pillow looks like it would be supportive for your neck. I am a side sleeper. My husband is a back sleeper and I think he would like the memory pillow. We have never had one. I mostly sleep on my side, but I’m really a stomach sleeper. I am a side sleeper, I like that they are more comfortable and contour to your head shape. I’m more of a side sleeper. I love memory pillows because they conform to my shape, and take a new shape easily when I move. I am a side sleeper. I have never had or used a memory pillow. I am a side sleeper. I like the support of a memory foam pillow. I’m a side sleeper and would love a pillow that better supports my neck. I am a back sleeper. I love the poillow self-adjusts to support optimal sleeping posture. I am a side sleeper and a memory pillow lasts longer for it does not deteriorate as fast as a regular pillow. I am a back sleeper. I like a memory foam pillow because it supports my neck so it’s not sore when I wake up. I usually sleep on my side.. but sometimes I end up on my tummy. I have never used a memory foam pillow but I would think that it would ben super comfy so that’s what I think I would like! I toss and turn quite a bit, but usually end up on a side. I haven’t tried a memory pillow, so I’d be curious what one would do. I sleep on my side or stomach. I love memory foam pillows because they are so comfy. I sleep on all sides. I love that it is self adjust. I am a side sleeper. I had spinal cord surgery 10 years ago and also have rheumatoid arthritis so sleeping comfortable is not something I am use to. I am always trying something new to see if that will help me. I am mostly a side sleeper. what I like about the memory foam is that it will adjust when I turn from side to side or back. I also have back problems along with OA and DDD arthritis. I am mostly a side sleeper. I would love anything that could help relieve pain. I like to sleep on my side or my tummy. I like the memory foam in this pillow. I am a side sleeper and like the support of a memory foam pillow. I am a side sleeper. Memory foam gives great support. Definitely a side sleeper. memory foam provides great support! I am a side sleeper. I like that the pillow adjusts to the right shape and keeps cool. I’m a tummy sleeper since my back surgery, but prefer my back. I sleep on my side or my stomach. My pillow is very uncomfortable on the side positition. I feel that I’m smothering in it and recently told my husband, come January, it was time for a new pillow. I am a side sleeper. A memory foam pillow would help me stay asleep and align me better to relieve snoring a bit! I am a side sleeper but sometimes I roll over on my back. Then I snore. I am a side sleeper and I like that it helps you to sleep better. I also heard that it helps people who suffer from migraines. I usually sleep on my side, but will do tummy or back if I’m having trouble falling asleep. I like memory foam pillows because they are very supportive. I sleep on my side and like that the pillow doesn’t flatten. I sleep on my side and haven’t ever tried memory foam for a pillow. My husband is the one with back problems and he does sleep on his back sometimes. I go to sleep on my side but always wake up on my back. I would love to have a memory foam pillow because it would support my neck better. My neck hurts sometimes when I wake up. I am mostly a side sleeper, but sometimes sleep on my back. I love memory foam, especially with cooling gel. I have chronic neck issues from a herniated disk, and this sounds great. I’m a side sleeper and NEED the memory foam pillow for less pain. 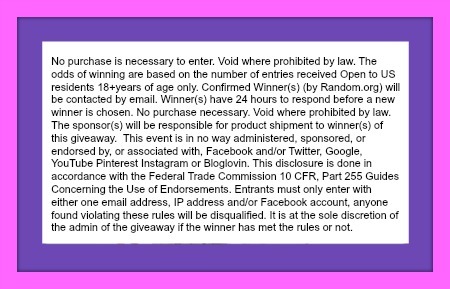 I’m having spinal surgery January 5th for my cervical spine- would LOVE to win this prize, you have no idea how much. Thanks for the chance and happy early New Years! I sleep all over the place: back, sides, belly. A memory foam pillow would be great for me because I have neck and back pain at night and I have to switch positions often. I have Degenerative Disc and Joint Disease and Fibromyalgia, so I have a lot of pain and it’s hard for me to sleep at night due to the pain, so these would be a Godsend. Thank you. I mostly sleep on my side, sometimes my back. I have never had the joy of having a memory foam pillow, have always wanted one. I have problems with my back and neck so the pillow would more than likely help this issue. I am a side and back sleeper. Memory foam pillows give support to the head and neck. I’m a side sleeper. I would think that a memory foam pillow would help alleviate neck pain. Both, I’m constantly turning to get comfortable. I love anything that’s made of memory foam! I am a side sleeper. I haven’t tried a memory pillow but I am looking for something to alleviate neck pain & this looks like it will help! Thanks. I am a side sleeper and I snore. I like the self adjusting feature of this pillow. I am a side sleeper. Memory foam pillows are good to give strong support to head and neck. I am side sleeper. I have been hearing great things about foam pillows, would love to try one. I’m a side sleeper. I wouldn’t know since I’ve never used memory foam before. I am a side sleeper. I like this pillow because it really does help you to have a better night’s sleep. I am a side sleeper. Once my hips start hurting I turn on my sides. I had a memory pillow and loved it but over a few years it got flat and uncomfortable. Just want to try a memory foam pillow ! I’m mostly a side sleeper. I like that the memory pillow adjusts to my position. I sleep on my side. I love the comfort that memory pillows provide. I am a side sleeper. I like that memory foam pillows change shape to cradle your head and keep your spine in alignment. I’m a side sleeper. I get horrible tension headaches so I need a pillow that holds my neck at just the right angle. So hard to find! I would love to try a good new memory foam pillow. Generally, I’m a side sleeper. I have a memory foam pillow designed for slide sleepers, and it’s comfortable when I’m in that position. Not quite as comfortable when I roll onto my back, though. I am mostly a Side sleeper but sometime I end up on my back. What I like about the memory pillow is that it will adjust to when I sleep on my side or back. I usually sleep on my side. I like that the memory foam pillow is self adjustable. I sleep on my side with my knees pulled up in the fetal position. I always sleep with a pillow on the side I lie on. Side sleeper. I think the pillow would help me get a good nights sleep. Sleep on my back. I like that with memory pillow it is customizable to your body. I used to be a side sleeper until I had a back injury, well, a back fractured from a truck landing on me. I now sleep in a recliner but really miss sleeping on my side. On my side there isn’t any support. I would love a memory pillow to help me sleep better. I am a side sleeper. I love that the pillow self-adjusts, sounds like I could get some restful sleep for once. I never sleep well so must be a back & side sleeper. This could help I like the you win all 3. I’m a side sleeper. What I like about a memory foam pillow is that it doesn’t go flat like most pillows and it supports my neck and head a lot better. I had a memory foam pillow once and my daughter stole it because she was having problems with her neck. So I didn’t get to try it very long. I am a side sleeper, because I snore if I’m on my back! I like this pillow because it self-adjusts to support optimal sleeping posture. I usually sleep on my back but every now and then I turn to my side. I’ve never had a memory foam pillow but have been wanting to try one, I’ve got problems with my back and have heard that a memory foam pillow may help relieve some of the pain.